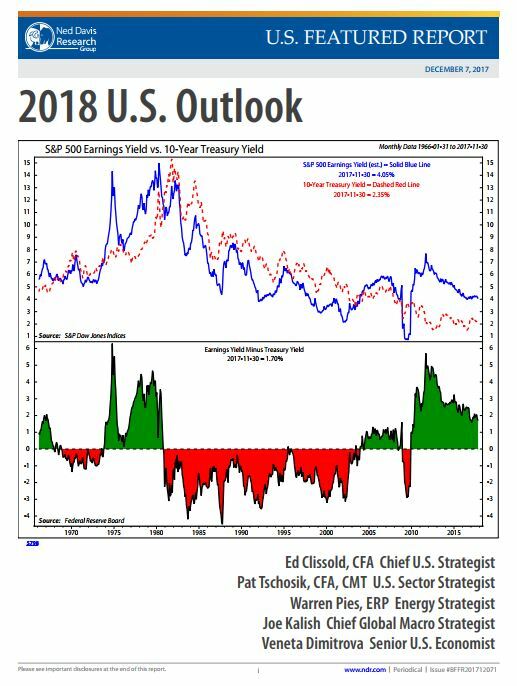 Ed Clissold, Pat Tschosik, Warren Pies, Joe Kalish, and Veneta Dimitrova have combined forces to release the 2018 U.S Outlook publication. This report provides a deep dive into their views on the following: Broad Market and Styles, Sectors, Energy, Fixed Income, and Economic Growth. Download now to learn what you can expect in 2018. Complete the form to get your free copy of the full report. Copyright© 2019 Ned Davis Research, Inc. All rights reserved.